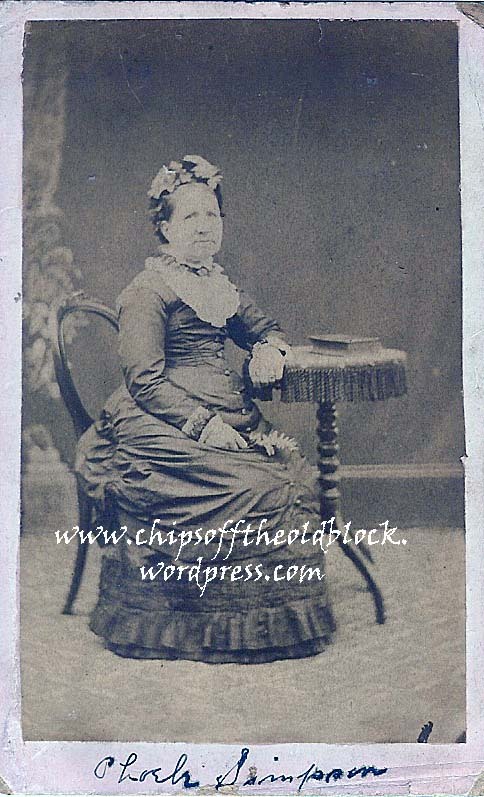 Last year I did a series of posts about what became of Mary Wills, daughter of George and Mary Wills, who was born in November 1829 in Wolverton, Buckinghamshire; met and married William Slaymaker in Blisworth, Northamptonshire; and then lived in Northampton, before moving with her husband and children to the US in 1870. 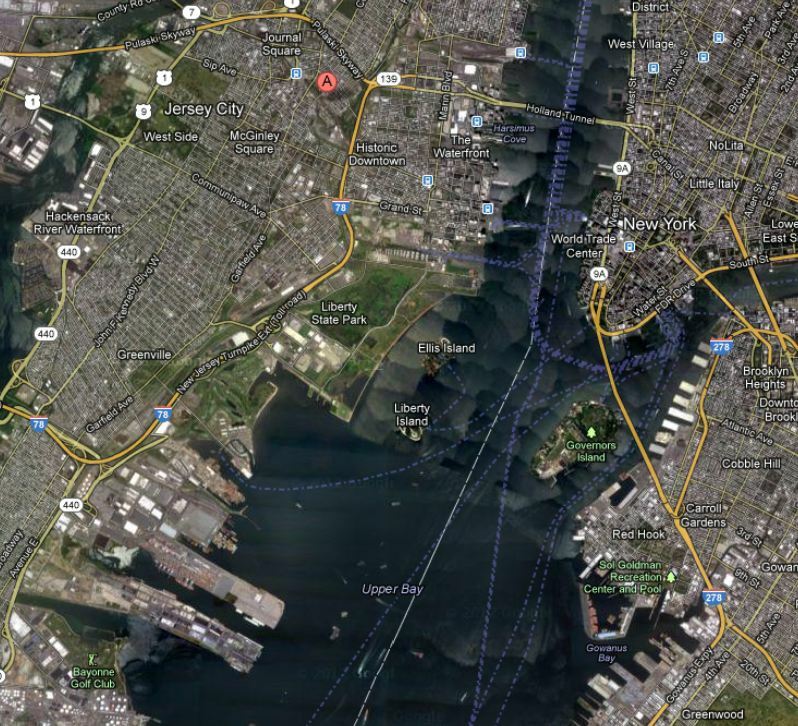 They settled in Jersey City, New Jersey (click here for some historic images of the city). They changed their surname to Sargent before leaving England. I’ve no idea why they picked that surname. Slaymaker sounds okay to me. According to Family Facts for Slaymaker at Ancestry, it’s an occupational name for a maker of slays. Altered form of German Schleiermacher, an occupational name for a maker or shawls or scarves, from Middle High German sleier ‘scarf’, ‘shawl’, ‘veil’ + macher ‘maker’. Surname Database has its own thoughts on the matter—-perhaps, makers of shoes or sleighs. In any case, here is a list of past blog posts, the main ones anyway, about Mary and her family. 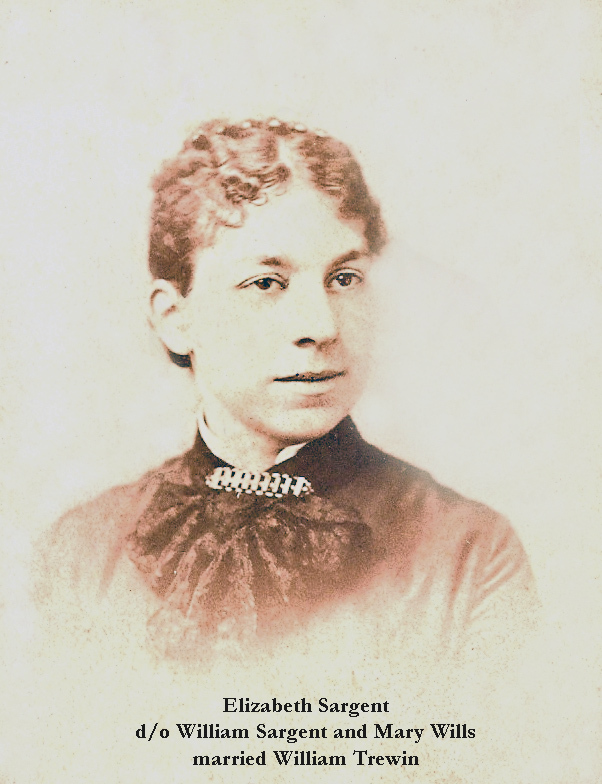 I always felt badly for her, being dragged away from her family in England at age 41 at her husband’s insistence, he wanting to make his fortune during post-Civil War reconstruction. At least that is what my great grandmother (Mary’s daughter) passed down. Husband William’s business affairs failed miserably and the family was on public assistance for a while. She also allegedly gave birth to 12 children over the course of her somewhat brief life, including 2 sets of twins, my great grandmother being one of them (her twin died). I presume that all those births happened when Mary was still living in England. The four of the twelve children who survived–Samuel, Elizabeth, William, and Sadie–emigrated to the US with her. Prior to June 1, 1878, individual certificates were not issued by the state of NJ, so Mary’s record appears in the ledger format used from May 1848 until May 1878. Place of Death: 96 Chestnut Ave.
Names of Parents: George Wills and Mary C.
I’d hoped the record would indicate a place of burial, but unfortunately it does not. On a positive note, her name appears with the middle initial “C.”—perhaps for “Capon,” her mother’s maiden name. I don’t think I’ve ever seen a middle initial for her. Here is George Sampson Valentine Wills’ self-published memoir, A Jubilee Souvenir. 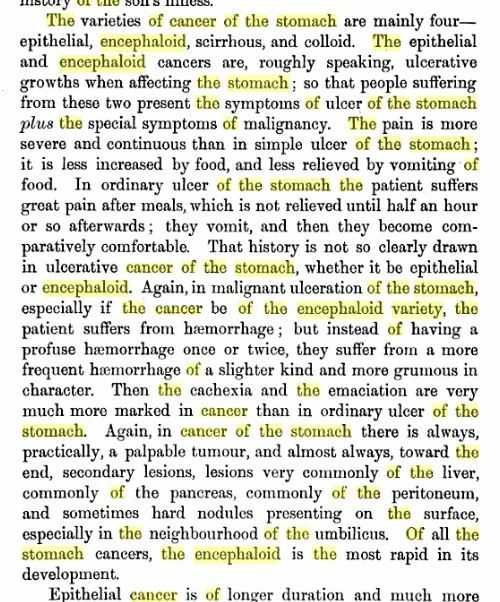 The Work of George S.V. Wills and The Westminster College of Chemistry and Pharmacy, which dates back to February 1899. The copyright is expired, so I will be photographing pages (20-30 at a time) and publishing them here. Check back periodically as I will be adding to this post until all 200+ pages are included. For past posts on G.S.V. Wills and his family, please click on the surname Wills in the categories column. Note: Anyone who would like to avoid downloading the pages can contact me via the email address in the About page. I can send the pages to you in zip files. The Wills family story passed down to us by my grandmother and her mother was reflected in the above posts. But shortly after I’d written them, I discovered a few details that made me question that account. Some of those details came from the GSV Wills self-published memoir**. (I’d misplaced the book right after posting the first post on GSV Wills, and found it only after I’d made the other Wills family posts.) Other things in general were just not adding up. I was finally forced to admit that the story passed down to us was full of inaccuracies. The whole series of discoveries left me feeling quite deflated and wanting to cool off on the Wills family line for a while, which is why it has taken me this long to do an update. On the other hand, it does feel good to get the story straighter, even though many gaps remain. Where to begin? Rather than take you through the order in which I made my discoveries, it’s probably best to go down these Wills-related posts one by one. First, about William Slaymaker being an orphan, well—-I found his birth record! According to England Births and Christenings, 1538-1975, posted on the Family Search website, William Slaymaker was born on 2 September 1828 to Mary and John Slaymaker of Weedon Bec and Flore, Northampton, England. (These are neighboring villages 11 miles northwest of Blisworth). He was christened on 10 December 1829, according to England and Wales, Non-Conformist Record Indexes (RG4-8)–also posted on the same LDS site. Discovering William’s birth and christening records was a huge shock to me since I’d always believed, hook, line and sinker, that William was a complete orphan whose origins were unknown. So, so much for our previous family history as it had been written down. On a complete side note, the 1851 census record mentions George’s 2nd wife’s birthplace as Cambridge. I have made a mental note to research “Elizabeth” further since my grandmother and her mother never documented the fact that George remarried. The 1851 census record shows she was 61, three years older than George at that stage. Now about the story of George raising William and his own children in Old Stone House, Blisworth, a house he supposedly build for his bride Mary Capon. Well that story turned out to be full of holes too. 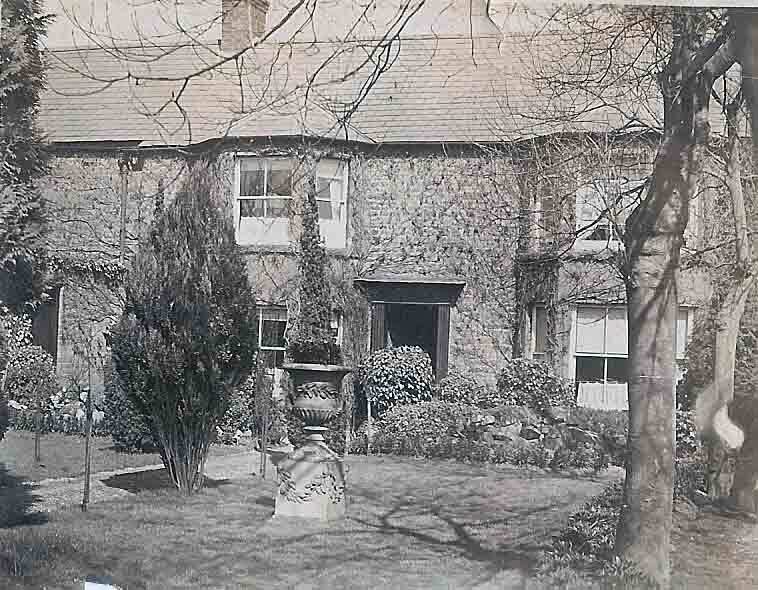 I figured this out through the blisworth.org.uk website and some correspondence with the site’s manager Tony Marsh, whom I’d contacted in order to offer him a 1913 photo I had of the Old Stone House. To get to the point quickly, Old Stone House in Blisworth was really the Blisworth Stoneworks, built around 1840; it served as headquarters for a limestone quarry that was in existence on the site since the early 1800s, and was part of the Grafton Estate. George and 1st wife Mary married in 1812, so there is NO WAY in the world that he built that particular structure for Mary. If George built Mary an “old stone house,” and he probably did, it was in Stony Stratford or nearby Newport Pagnell, Buckinghamshire, where the pair spent their early married life. So “adios” to the yarn passed down that George owned and built the Stoneworks house for Mary. 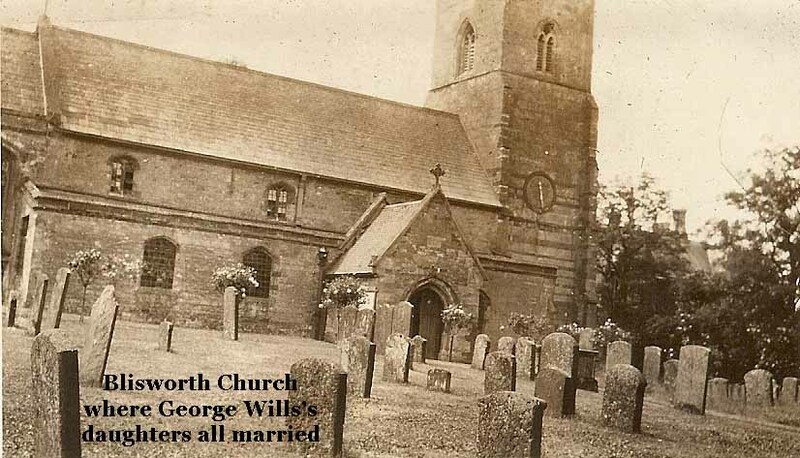 However, we do know that George was in Blisworth at the time of the 1841 Census living at the Stoneworks with 2nd wife Elizabeth. He is listed as “builder.” Now, since Mary (George’s 1st wife) died in 1839, he must have married Elizabeth around 1840, about when he was participating in the construction of the Stoneworks. So, I think it is highly possible that recollections of George’s children or grandchildren were of him building that big stoneworks house for 2nd wife Elizabeth, which was not really the case, but children don’t know all the details of what’s going on in the world around them, so in their young minds it may have appeared that George was building that home for Elizabeth. George’s youngest daughters, Martha and Mary (14 and 10, respectively, in 1939) may have perceived it that way. The only Wills child known to be born at the stoneworks with relative certainty was Samuel, firstborn child of William Slaymaker and George’s daughter Mary. Now, about the Duke of Grafton being patron of the Wills family (this is written in GSV Wills’s memoirs), at the time of Sampson Wills’s death (George’s father), George was living on Tottenham Court Road in London. Tony Marsh commented that “George would have been building townhouses less than a 1/4 mile from some of Grafton’s houses in the Euston Station area.” Whether they had any association there, however, we don’t know (yet, anyway). When Sampson died, George, wife Mary, and their three children who existed up to that point (Ann, Phoebe, and Jabez), had to move back to Stony Stratford to carry on the family business. Though the distance was just 50 miles, it took them three days traveling by wagon with all of their possessions including a cat with kittens. On another side note, per the GSV Wills memoirs of 1899, Sampson Wills, was a renowned builder, whose family was based in Stony Stratford for generations. He was not involved in the non-conformist movement as was son George. Sampson’s 1st contract was to erect mile-stones along the road from Stony Stratford to Bletchley. He constructed the bridge that spans the Ouse at Cosgrove. Cosgrove is just a mile north of Stony Stratford as the crow flies. I looked the bridge up and, if I guessed correctly about which one it is, it is now referred to as “Solomon’s Bridge”–perhaps in the mists of time, “Sampson” changed to “Solomon”? GSV Wills says the bridge was referred to as “Sampson’s Bridge” even in the late 1890s. For views of the bridge, click here, here, and here! You can also catch a glimpse of the bridge on this interesting YouTube video (at about the 50 second mark). The Cosgrove Village website has posted a PDF document about the bridge. They say that the story goes that “a certain Colonel Solomon’s, ‘Lord of the Manor’, agreed to the cutting of the canal on the condition that he was allowed to erect the necessary bridge.” Perhaps, officially it became known as Solomon’s Bridge, while locally, those who were familiar with Sampson Wills’s involvement referred to it as Sampson’s Bridge. Sampson’s business spanned from 1780 to 1830(?). 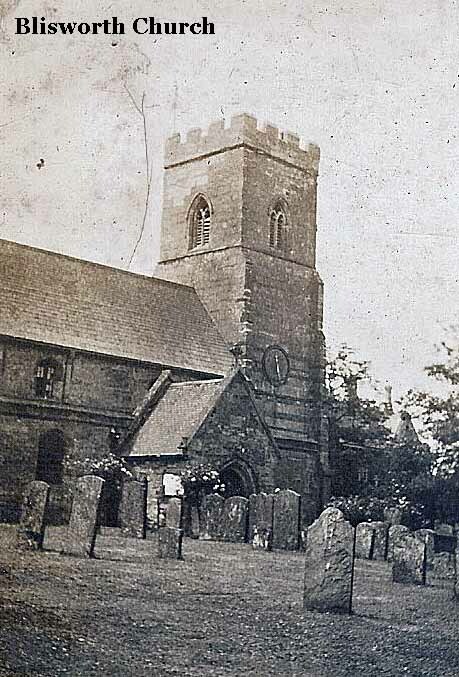 He worked on the Calverton Church and died attempting to fix the pinnacle; he lost his balance and fell. If you click on the link for Calverton Church in the previous sentence, you’ll see what a precarious maneuver he must have been undertaking. If he did die in 1830, he would have been 63 at the time. In addition, two sons died in service to King George III. I say 1830 with a question mark because Sampson’s books ended in 1830, so I assume that is when he died. GSV Wills stated that Jabez Wills descendants were in possession of Sampson’s original books. That was in 1899, of course, so who knows where they may be today. It would provide clues about the Cosgrove bridge, no doubt. 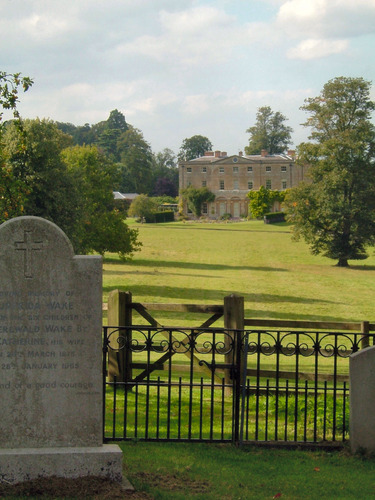 Now it must have been around late 1830s that the Duke of Grafton asked George to consider relocating from Stony Stratford to Blisworth (10 miles away) to oversee the stoneworks project. According to the GSV Wills book, George agreed because by then his daughter Phoebe had married John Simpson, and Simpson was prepared to carry on George’s business at Stony Stratford. Incidentally, it was in Blisworth that Jabez Wills met Mr. Hickson, the local chemist, who was “twice married and blessed with 21 children.” Jabez married Catherine, one of Mr. Hickson’s daughters, and the couple settled in Roade (3 miles away). There, Catherine gave birth to GSV Wills in 1849. The only part of this post that needs updating is with regards to sentence #2–that before emigrating to America, William Slaymaker sold his share of the business to John Simpson. The family yarn passed down to us was that when George died in 1856, he left his Stony Stratford stone masonry business to sons-in-law John Simpson and William Slaymaker. Well, for William to have sold John his share on the eve of emigrating to America would have been quite a feat because I discovered that John Simpson died in 1861, roughly 5-7 years before the Slaymakers changed their name to Sargent and moved to the US. Another deflating moment! According to the little GSV Wills book, Jabez Wills moved to Stony Stratford to take over the business when John Simpson died. I found the 1861 census records for the Slaymakers–the family was living in Northamptonshire at 2 Mason’s Yard in the parish of St. Sepulchre. William is listed as a mason and builder employing four men. Daughters Elizabeth (6) and Sarah (3) are listed as having been born in St. Sepulchre, which means that the Slaymakers must have moved to Northamptonshire in roughly 1855. Perhaps what really happened was that when George died he left William a share of the business, but William sold it to Simpson straight away and relocated to Northampton where he perceived business to be more lucrative. And when Simpson died, the business transferred to Jabez. The above text correcting information about the stoneworks should replace details in Paragraph 1 of this post. Also with regard to the information about the Gardiners, evidently while Gardiner may have managed the so-called “Wait Estate,” Simpson’s daughter Mary would not have been involved with the Estate for that length of time since she and Gardiner married in 1875 and he died in 1897. He was 30 years her senior! Also, Tony Marsh who is mentioned above, believes that the “Wait” Estate is probably the Wake Estate. 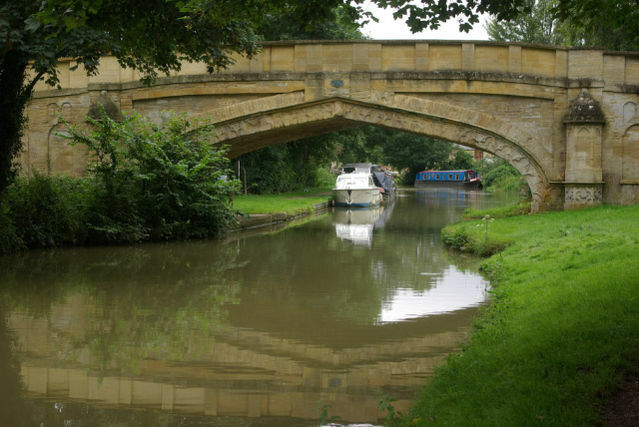 Tony forwarded a couple of links about the Wake Estate, but I have not yet had a chance to review them: http://www.blisworth.org.uk/images/Articles/Wakes-history.htm and http://www.blisworth.org.uk/images/Lyrical/Wake-memoirs.htm. Now, with regards to this post, the question is obviously: “Who is that man seated in the chair on the left?” It can’t be John Simpson since he died in 1861. 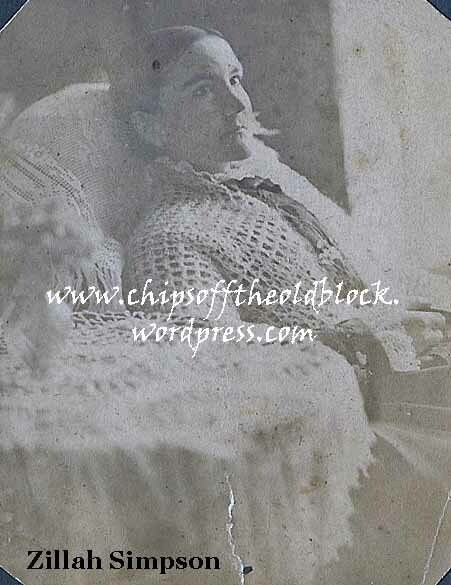 In the wheelchair is Phoebe and John Simpson’s daughter Zillah Wills Simpson (29 Jul 1843 – 10 Apr 1920). We know that for sure since she was disabled. 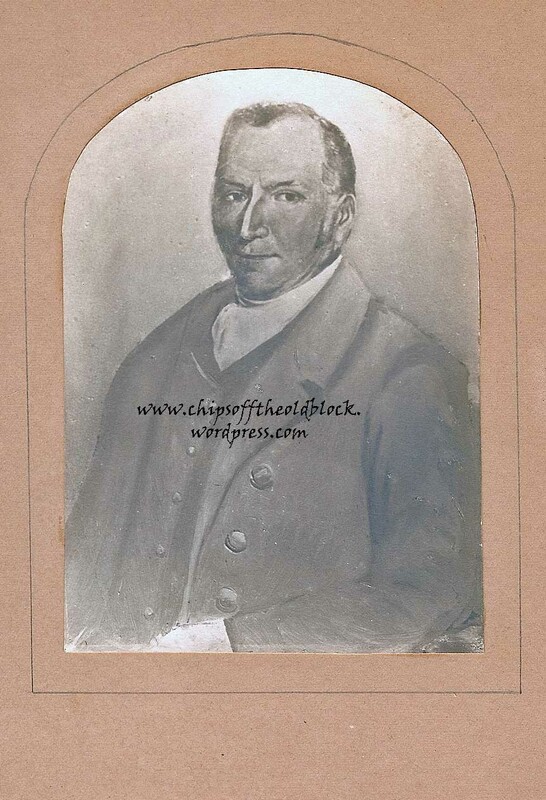 Based on the age gap between Mary Simpson and husband William Gardiner, I believe it is William Gardiner who is seated in the chair; he would have been in his mid-eighties at the time, an age that seems to fit this gentleman. 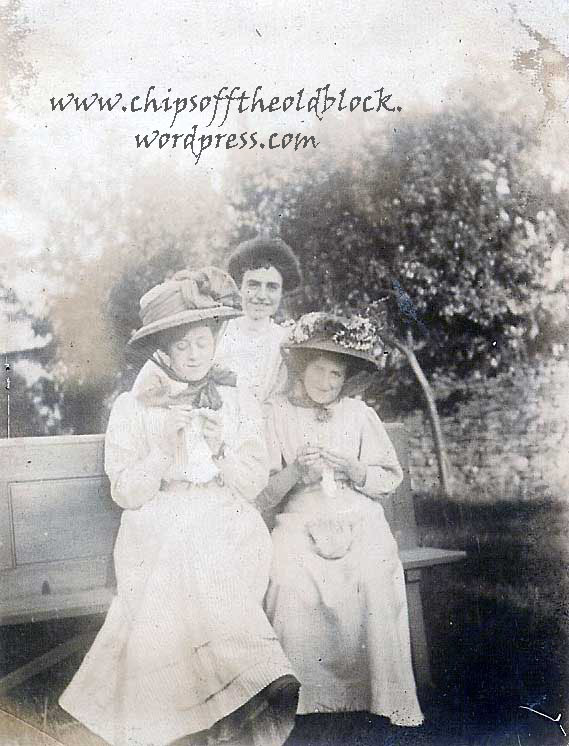 The other two ladies are probably identified correctly: Standing in the rear are the elder Simpsons’ daughter Sarah German Simpson Caswell (30 Mar 1849-8 Jan 1929). 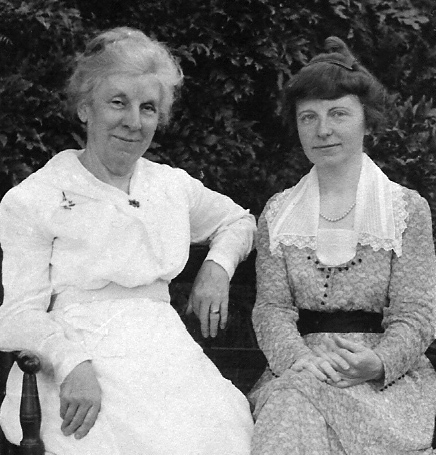 Seated on the right is the elder Simpsons’ daughter Mary (2 Feb 1839-6 Feb 1917), Gardiner’s wife. (I must admit she looks older than her late 50s to me.) But, now, who is the man standing in the rear? I think it is probably Sarah’s husband, Henry Slee Caswell. Time will tell–let’s hope someone reads this blog and can give us some clues. So that’s the update–for now, anyway. Things are bound to change but certainly not nearly so dramatically. Now it seems more like a question of filling in the gaps. PS: To muddy up the works slightly, I did discover a “Haymaker” family living in Blisworth at the Stoneworks in 1841, at the same time George and Elizabeth Wills were there. Whether these Haymakers were Slaymakers remains to be seen. If I make any progress on that, I will report on it. **A Jubilee Souvenir. 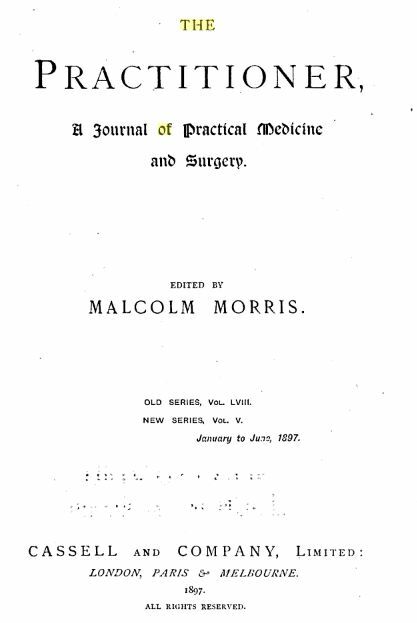 The Works of George S. V. Wills and The Westminster College of Chemistry and Pharmacy. Stratford: Wilson & Whitworth, Ltd., Printers, Broadway, 1899. 12/14/2011: Please see the update to this post. I have scanned some additional photos from an old album belonging to my grandmother. Below is a photo of “Stone House” on Stoke Road in Blisworth, Northamptonshire. It was taken in 1913. 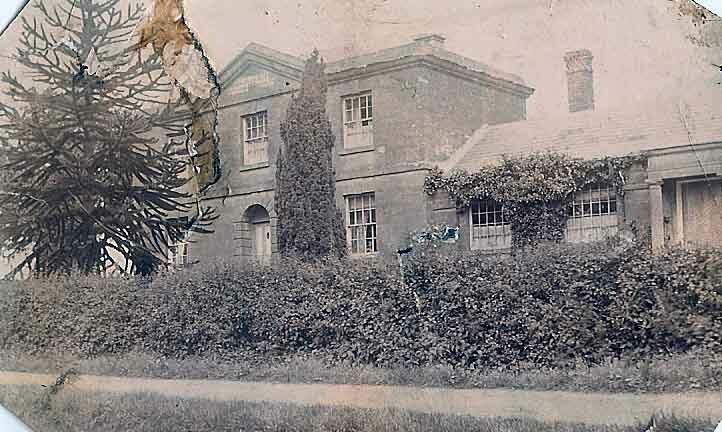 Information passed down from my grandmother states that the house was built by George Wills in 1812 for his bride, Mary Capon, the daughter of Mary Pitt, a cousin of Sir William Pitt. 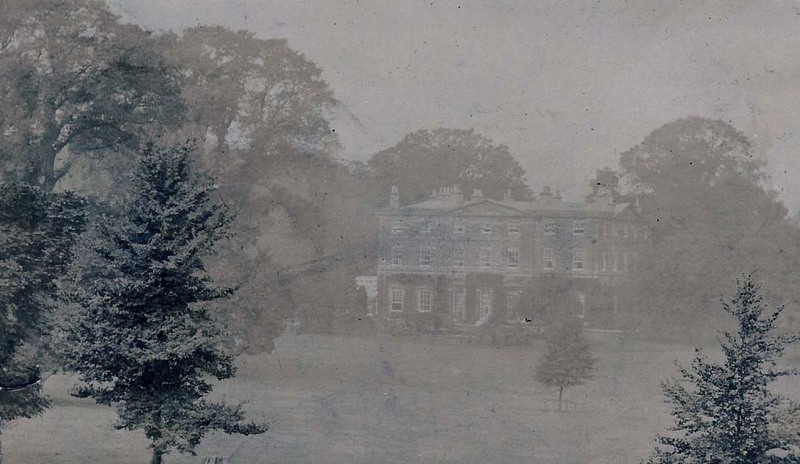 A separate photo taken at a later date (possibly 1935, during my grandmother’s visit to England) shows the house from a slightly different angle. It was in this house that Mary Wills Sargent, daughter of George and Mary Wills was born. Also supposedly born here were two of Mary Wills Sargent’s children, Elizabeth and Samuel. 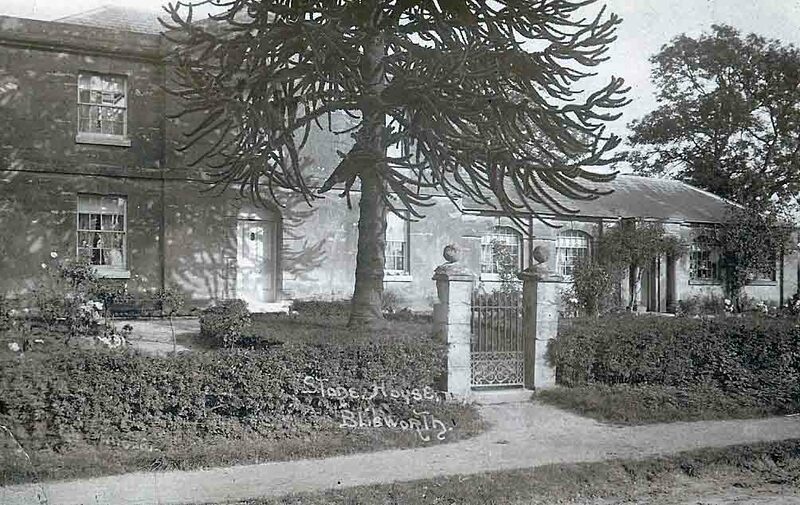 Note the monkey puzzle tree out front. 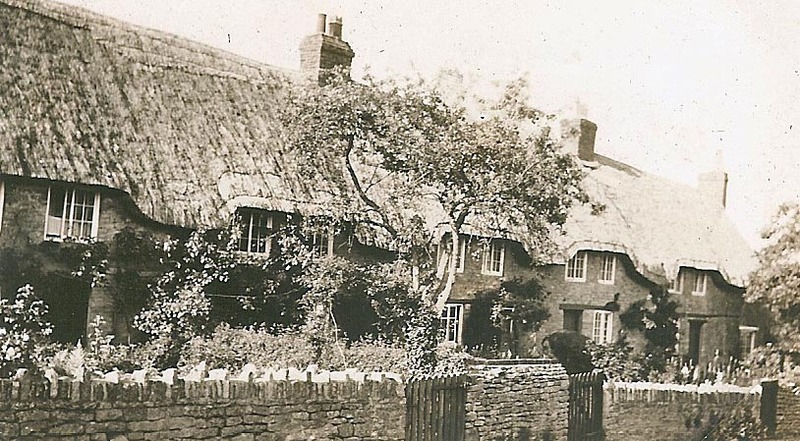 Stone House in Blisworth, circa 1935? 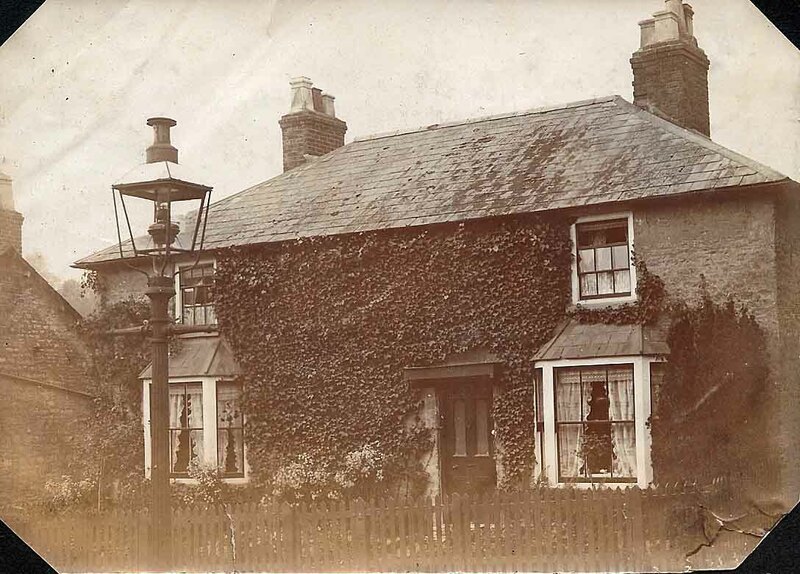 Below are two photos taken in Roade of “Yew Tree Cottage” the home in which Zillah Simpson lived. Notice the old gas lamp out front. Zillah was the daughter of Phoebe Wills and John Simpson, about whom I have spoken in previous posts. Zillah spent summers living in the ground floor room on the left (facing the house). In the winter she lived upstairs. She wrote in a postcard that the upstairs room was “cheerful” and looked toward the station. 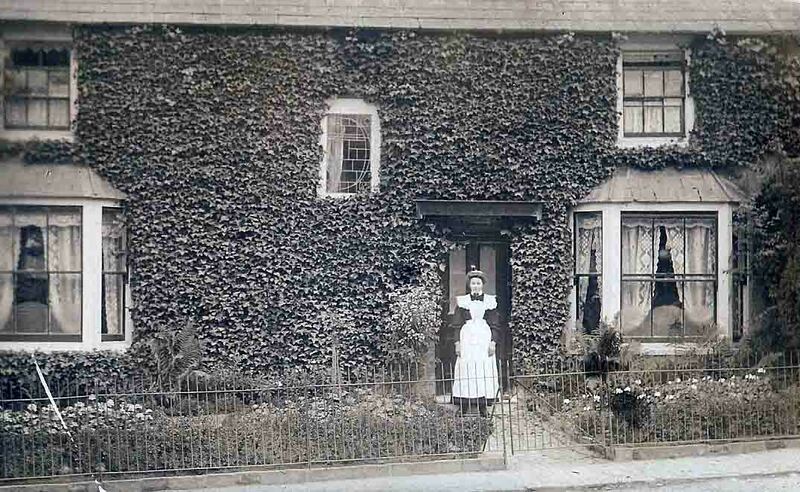 The second photo of the house shows their maid standing out front. Curiously there’s a middle window upstairs in one photo which is absent in the second photo. I presume by the growth of the ivy that it was added sometime later. Zillah lived here until her passing in 1920. I don’t know when the photos were taken, but it must have been before 1920 since Zillah sent them as postcards to my grandmother and her mother. 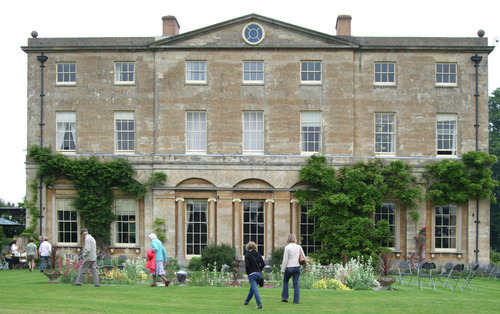 This next photo is a photo of the house in which another daughter of Phoebe Wills and John Simpson lived. Mary Simpson Gardiner lived here with her husband William Gardiner. For 54 years, he managed the “Wait Estate.” I have not done any research yet to see what/where Wait Estate was/is, but at some point, I’ll get to it! Click on Gardiner in the list of Categories and you will see a photo of the couple. In the photo album from which I retrieved these photos, there were additional photos of Courteenhall Manor (in miserable condition–the photo, not the manor) and some of the workmen’s cottages on the estate. I am not sure how Courteenhall Manor, which is in or neighboring Roade, relates to the Waits/Simspons/Gardiners or Wait Estate. Perhaps the photo is there just because it is a local place of interest. Further to the last post about the Simpson family, here are a few more photos. Again, Zillah Simpson was a daughter of John and Phoebe (Wills) Simpson. The Phoebe here is that Phoebe (George Wills’s fifth daughter) who died in 1890.The last photo is of the Simpsons’s granddaughter Ella Caswell, daughter of Sarah German Simpson and Henry Slee Caswell. To the left is a photo taken no later than 1897. 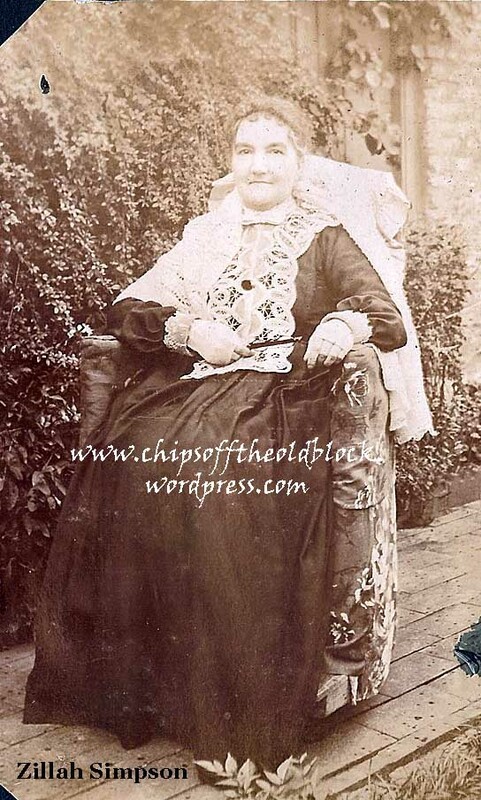 In the wheelchair is Phoebe and John Simpson’s daughter Zillah Wills Simpson (29 Jul 1843 – 10 Apr 1920). Standing in the rear are the elder Simpsons’ daughter Sarah German Simpson Caswell (30 Mar 1849-8 Jan 1929). 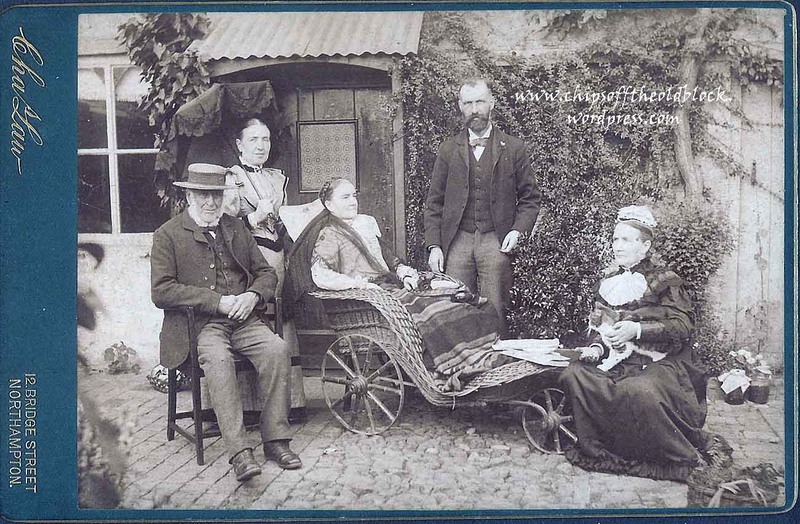 Seated on the right is the elder Simpsons’ daughter Mary (2 Feb 1839-6 Feb 1917). The photo was obtained by my grandmother Zillah Trewin from her cousin Ella Caswell Carter, Sarah German Simpson Caswell’s daughter, during a July 1935 trip to England. I presume the 1897 cut-off date for the photo was because John Simspon did not live beyond that year. My grandmother Zillah Trewin was named after Zillah Wills Simpson. 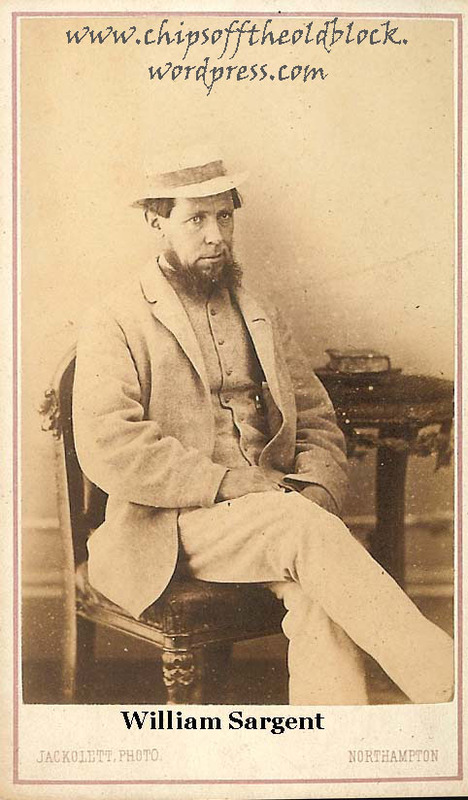 John Simpson and Phoebe Wills had six daughters and one son. Missing from this photo are daughter Ann, who married Hercules Smith and emigrated to Australia; Martha, who died at age four; Phoebe, who married Phillip Barnes; and John Simpson who married Fanny Smith and then Mary Bell. I do not know whether Hercules Smith and Fanny Smith were related. I came across an old album of a trip to England taken by my grandmother and her family. In it I was surprised to see a photo of William Sargent (b. 1929), Mary Wills’s husband. It was taken in Northampton, England. Since the family supposedly left for the US right after the end of the Civil War, he would not have been any older than roughly 38 here. Not a very “happy chappy,” but folks did not seem to smile much in photos back then. His daughter Elizabeth’s resemblance to him is striking. There were also photos of the Blisworth Church in Northamptonshire where Mary and all of her sisters were allegedly married. I’m not certain this was the case and am hoping to find some concrete evidence of that. 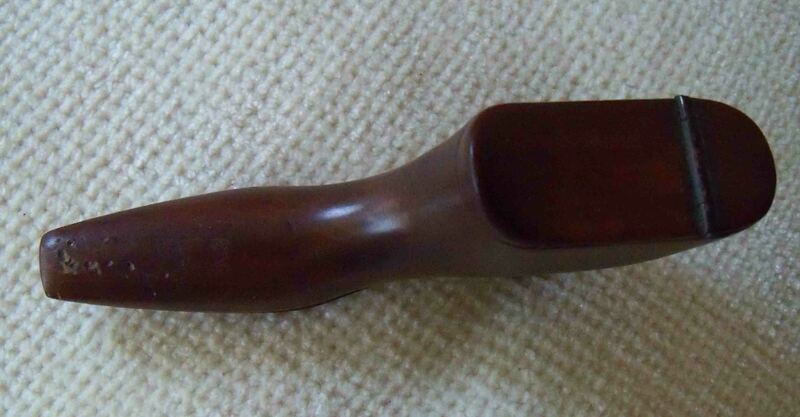 Further to all the previous posts on George Wills, I am including here some photos of a shoe-shaped snuff box that belonged to him. It was passed down by his youngest child Mary Wills to my great grandmother Elizabeth Sargent and so on. 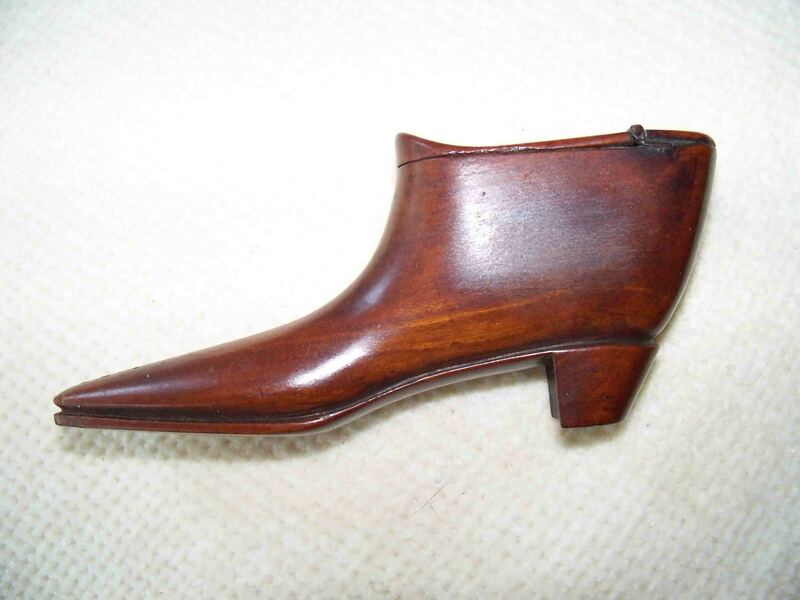 These shoe-shaped snuff boxes were very common. 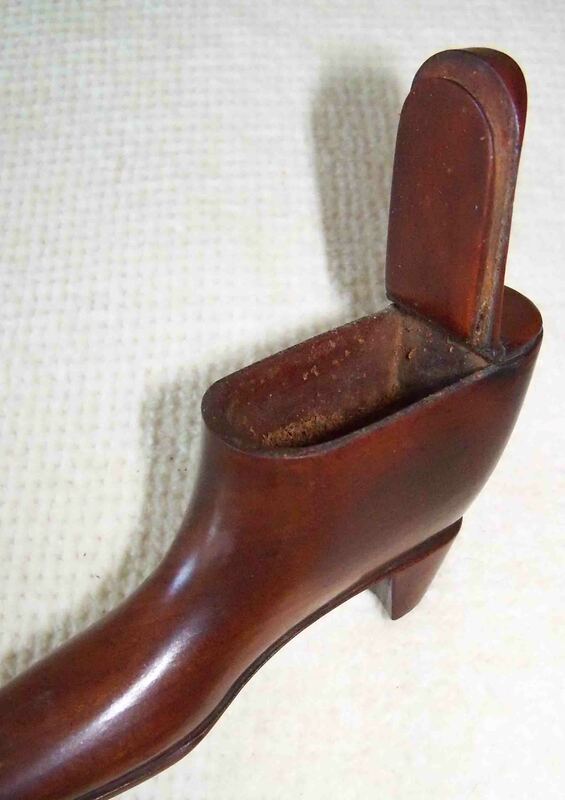 Northamptonshire, England, was a major center for shoe-making. George was originally from Stony Stratford, Buckinghamshire, but spent part of the 1840s in Blisworth, Northamptonshire overseeing building projects. A number of his descendants settled in the vicinity of Roade and Blisworth. Altogether William and Mary had 12 children including 2 sets of twins. Only four of the children survived to adulthood. These were the children who had traveled with them from England: my great grandmother Elizabeth Sargent (a twin), a brother Samuel who became a Methodist minister (his portrait once hung in a chapel in Ocean Grove–it may still be there), Sarah (nickname “Sadie,”) and William Jr. Samuel married Ella Tunison and they had two children: Vivian Sargent, who married into the Packard family (the automakers), and a son Norman Vincent Sargent, who followed in his father’s footsteps and became a Methodist minister. William Sargent (Sr.) remarried, how long after Mary’s death, I do not know, but it was within the space of a few years. His second wife was a wealthy widow named Mary Bowley Pitt who had a son named William Pitt. This Mary Bowley Pitt also had some connection lineage-wise with prime minister William Pitt. 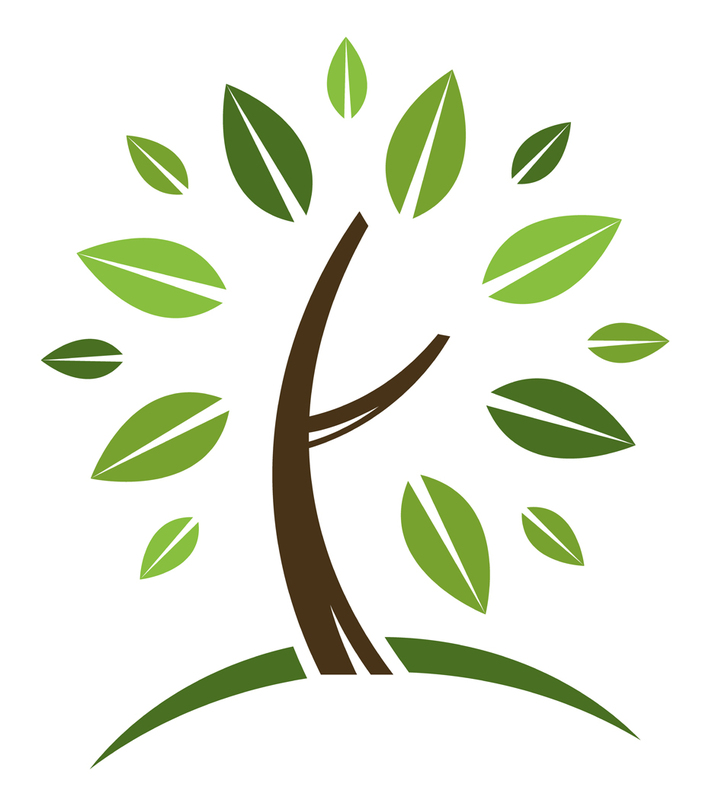 With the financial backing of his second wife, William got into the spring bed business (as a salesman) and the family’s financial position improved. 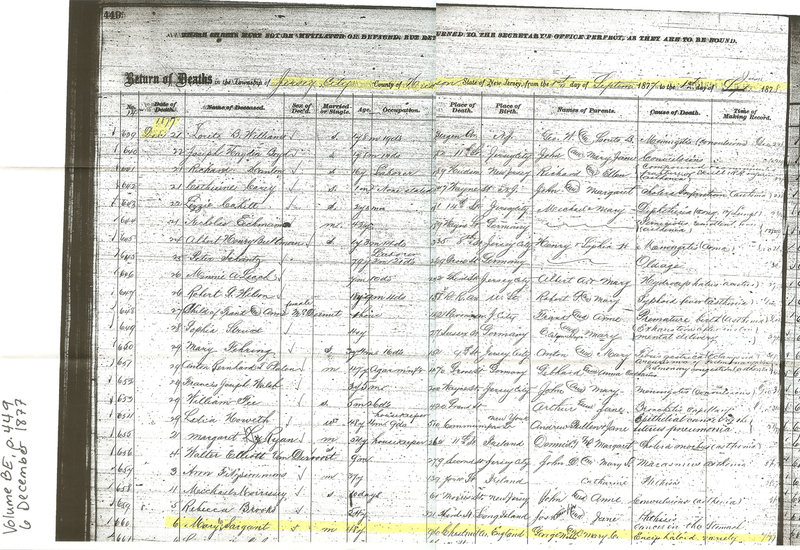 The 1880 Census shows the newly blended family living in Jersey City: Wm. Sargent (51), Mary (41), Elizabeth (“Lizzie”) (24), Sarah (“Sadie”) (21), Wm. Jr. (19), and Wm. Pitt (17). By then Elizabeth was near to being married to William Trewin, and Samuel may well have been married. I do not yet know what became of Sarah and William Jr., e.g. whether they married, had children, etc. Sarah died at age 45, and William died at age 35. I have no record them ever marrying, and I think my grandmother would have mentioned that. Elizabeth, Sarah, and William are all buried in the family plot at Evergreen Cemetery in Hillside, NJ. As for William Sargent Sr., I do not yet know when he died or where he was buried. Perhaps in time, I will make those discoveries.